Elizabeth Temple NC sub teacher resigns after viral Billy Byrd FB post. Pictured, North Carolina sub teacher, Elizabeth Temple and ten year old student Nathan Byrd and his father Billy Byrd. North Carolina substitute teacher, Elizabeth Temple forced to resign after telling students Martin Luther King Jr committed suicide and students weren’t real Christians if they didn’t vote for Donald Trump. A North Carolina teacher has resigned after allegedly telling elementary school students that Martin Luther King Jr. wasn’t assassinated and had instead died by suicide. 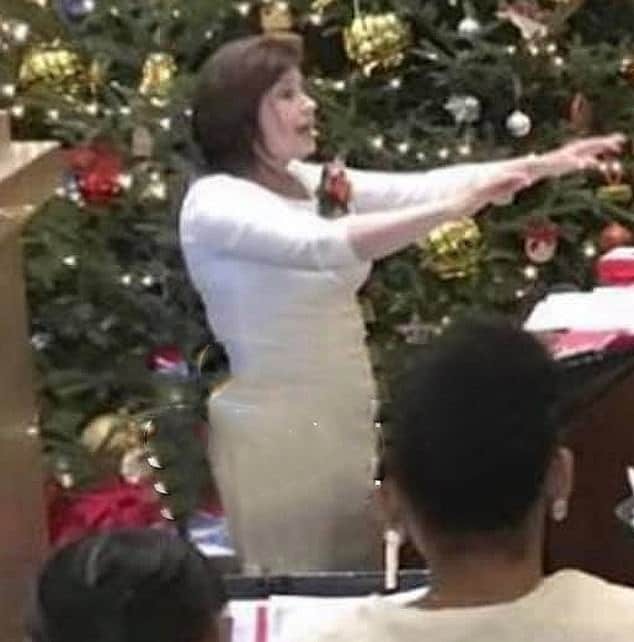 Elizabeth Temple, a substitute music teacher at Rand Road Elementary School in Garner, is accused of making the false claim about the famed civil rights leader’s death last Friday when students weren’t following her directions, parent Billy Byrd told the News & Observer. Byrd said when his 10-year-old son, Nathan, corrected the teacher by saying King Jr. was assassinated, she responded by telling him and other minority students that they were prison-bound because they were dressed in athletic apparel. According to students, the teacher also reportedly told the class they were not real Christians if they did not support Donald Trump. 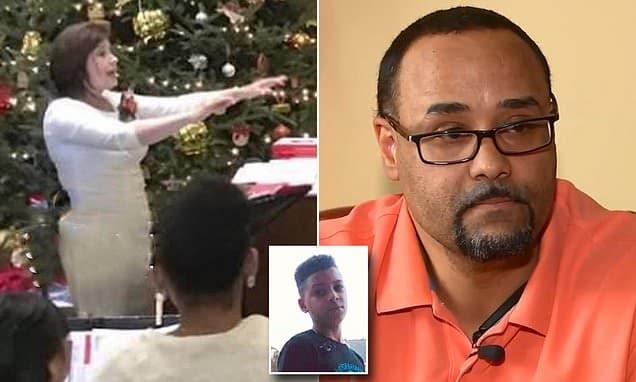 ‘To wear athletic apparel while being BLACK is obviously a MARK for long term imprisonment these days by racist radicals portraying to be godly and upright conservative Christians,’ Nathan’s father wrote in a widely shared Facebook post describing the incident. The ten year old boy said he felt compelled to stand up for himself. Byrd said he’s proud that his son had the courage to tell the teacher that her comments about King Jr., made during Black History Month, were incorrect. ‘He had those necessary tools that he was equipped with prior to that situation taking place. So for him to be able to stand up for truth and to correct that teacher when she made that blatant lie that Dr. King committed suicide … and say, ‘No, that is inaccurate information, that did not happen,’ that made me feel good as a father to know that he followed my instruction. For that, I am eternally proud and grateful,’ Byrd told via ABC 11. Pictured, North Carolina substitute teacher, Elizabeth Temple. Following Nathan telling his dad what happened, Byrd approached, school principal, Rhonda Jones, to complain. Jones told Byrd that other students and teachers also complained about the teacher’s comments and that the school would be taking action. Lisa Luten, communications director for the Wake County Public School System, told USA Today on Tuesday that the teacher was implored to resign. Byrd said he hoped the school district would re-evaluate their hiring practices. A Wake County school district spokesperson was not immediately available for comment.